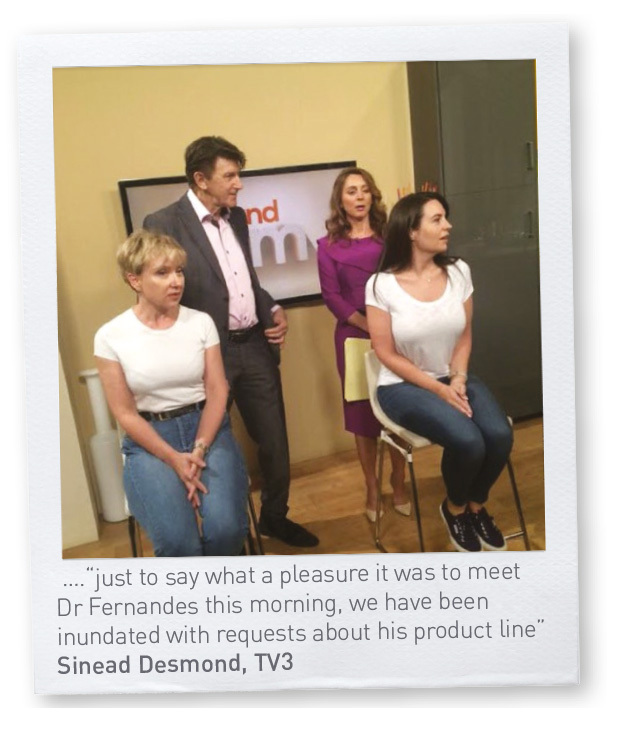 Dr Des Fernandes Skin Talks in Ireland and UK | iiaa Ltd | The UK and Ireland distributor of Environ Skincare, jane iredale makeup and Advanced Nutrition Programme. Skin legend and innovator Dr Des Fernandes is widely recognised for his contribution to skincare. The charismatic founder of Environ is passionate about working with skin professionals to help them to improve their approach to optimise skin health. 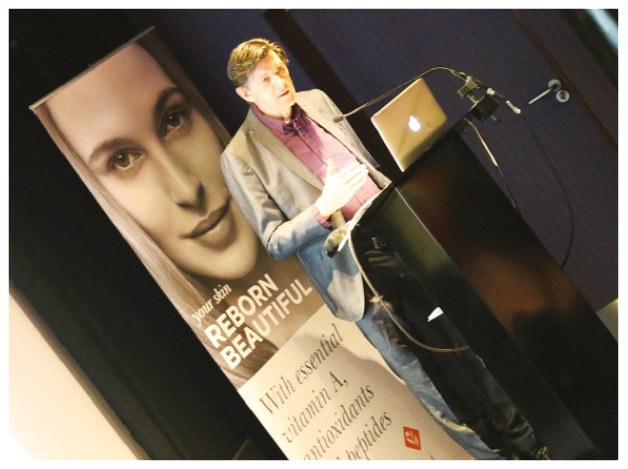 In September, he travelled to Ireland and the UK to talk skin health with key beauty editors, bloggers and stockists. Dr Des Fernandes made an appearance on Irish TV Programme Ireland: am. He spoke about the importance of vitamin A and was questioned by Sinead Desmond, TV3 Presenter about how to stay youthful. He then joined our stockists for a presentation at the plush Gibson Hotel in Dublin. Highlights included a candid viewpoint on the effectiveness of a single product application and combined product with professional treatment. Case studies shared by Dr Des Fernandes, showed transformational differences, even in severe skin issues like 90% facial pigmentation. The message was clear: vitamin A taken both orally and topically is proven to deliver powerful skin well-being, irrespective of age. When it comes to asking the hard questions, no-one does it better than the press and beauty trendsetters. Beauty bloggers and journalists from key publications such as Stellar and VIP joined Dr Des Fernandes for an intimate ’fireside’ chat to dispel common vitamin A myths and explore the new Youth EssentiA Range. 40 top Beauty Journalists, Editors and Influencers gathered at the Covent Garden Hotel in London for an exclusive breakfast briefing. 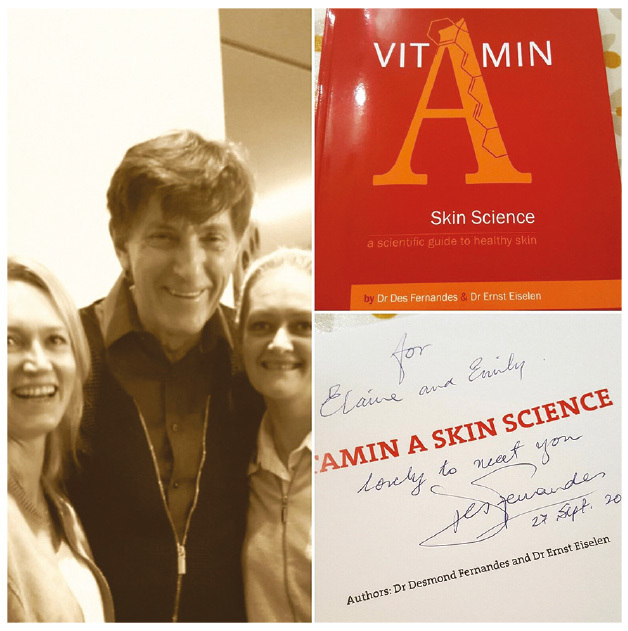 Facilitated by Tracy Alpert, Training Director for the iiaa, Dr Des Fernandes stimulated both debate and desire with vitamin A insights, examples of real life skin transformations and the new Youth EssentiA product launch. After the group briefing, Dr Des Fernandes enjoyed face to face time with key journalists including Beatrice Aidin from the Financial Times: How to Spend it, Ingeborg Van Lotringen Beauty Director from Cosmopolitan Magazine and Charley Howitt Williams, Beauty Director from Essentials and Woman Magazine.